On Thursday evening I attended a meeting of the board of the DCA -Dundee Contemporary Arts Centre. The meeting considered how the DCA deals with the challenges which will face the public sector and the cultural sector over the next few years. DCA is well-placed to weather the storms but there is no doubt that there will be difficult times ahead. We should remember though that DCA has played a major role in changing people's perceptions of our great city. Indeed the BBC have an advert for their online services which uses the DCA as a symbol for the city of Dundee. On Thursday I attended a meeting of the board of Dundee Ice Arena. This was a very interesting meeting. Well done to Dundee CCS Stars who won their first match of the season last night with 7-3 victory over Cardiff Devils in the Elite Ice Hockey League. 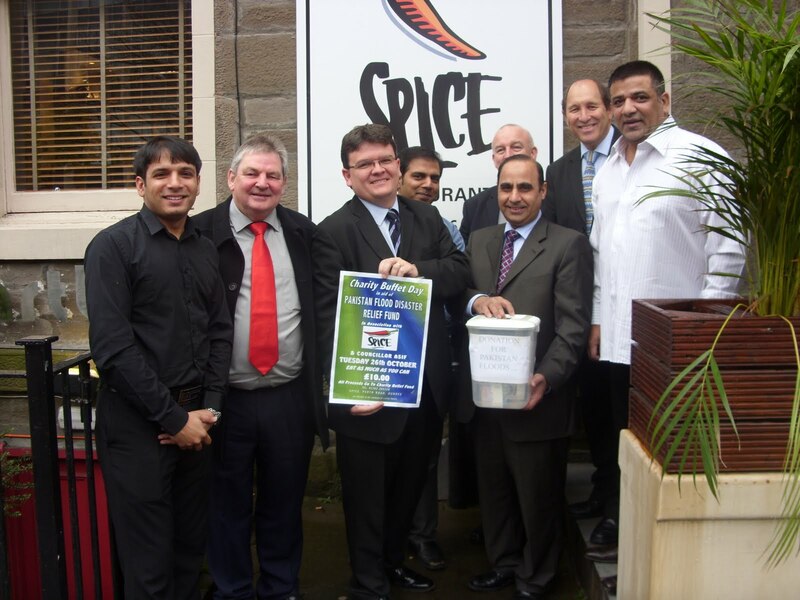 In aid of the Pakistan Flood Disaster Relief Fund Spice Restaurant are holding an eat as much as you can buffet for £10 on Tuesday 26th October from 12 noon until late. As the local Councillor I was at the restaurant along with staff and council colleagues to launch the event today. I am sure that everyone was moved by the plight of the people of Pakistan after the recent floods, they still need our help. I am really pleased that local restaurant Spice is holding this charity event, I hope that this event will be supported by local people and that a decent amount of money will be raised for this worthy cause. There is a strong Pakistani community in Dundee and they have supported appeals for aid for Pakistan this is an opportunity for everyone to show their support for Pakistan. I am absolutely delighted that the refurbished McManus Galleries: Dundee Art Galleries and Museum has now been visited by over 150,000 people. I am delighted that as Convener of Leisure, Arts and Communities I played a small part in making the vision of a refurbished museum a reality. It is important that those who have achieved this success the staff of the McManus continue to be supported to deliver top quality exhibitions. 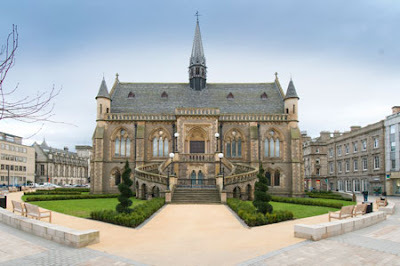 'The news that the mcManus galleries have attracted more than 150,000 people is a huge boost for Dundee. People outside this area often look down their noses at this great city, tending to focus on the poverty that affects some of our residents. However, we now have a booming cultural life of which we should all be proud. There is no doubt that the McManus galleries development has been a huge success, which is reflected in those amazing numbers. The success comes as excitement continues to build over the V & A, with the final designs set to be chosen within weeks. That project, too, has proved hugely popular, with thousands of people taking part in the public consultation over the designs. That type of interest shows that Dundee has moved on from its old description of the city of the three Js. The AGM of the Dundee Fairtrade Forum was held last night. I made it along to the very end of the meeting after the council meetings were finished. I was re-elected to the Fairtrade Forum. I think that there is a need to do a lot more to promote fairtrade in the city. Monday evening saw the October set of council meetings. The various agendas for the meetings can be found here. We got into the farcical situation where we were discussing consulting with council tenants on proposed rent rises and the Administration refused to allow my colleague George Regan proposal to consult on lower rises than the ones proposed especially a zero increase. Bear in mind we were not necessarily advocating a zero rise merely that tenants should be given the information to see what the implications would be. This was ruled out by a combination of officers and members of the administration with it being very unclear which of these two groups was taking the lead. The Leisure, Arts and Communities Committee looked at proposals for new ways of organising Community Councils. At long last this report went through and elections will take place soon to Community Councils. I think those who serve on Community Councils deserve our thanks. I hope that there are many people willing to serve on Community Councils in the city, I especially look forward to continuing to work with the West End Community Council. On Monday afternoon I attended the See off Scams event which took place in the Marryat Hall. The event was organised by the Dundee Community Safety Partnership, the 'See Off Scams' event and was designed to help people avoid of the clutches of con artists and rogue traders who are after their money. Talks were given by Tayside Police and Victim Support, and the city council outlined its Trusted Trader and community safety work. I thought that this was a very useful event. The information given out at this event was very useful and should be made widely available. I will be seeking a briefing with officers of the council to see how this important information which would benefit not just the vulnerable in society but everyone can be made more widely available. If you have any concerns about people offering to do work for you or cold calling contact Tayside Police on 0300 111 222 or Crimestoppers on 0800 551 111 or in Dundee you can contact the Anti-Social Behaviour Team Helpline on 0800 169 3845. 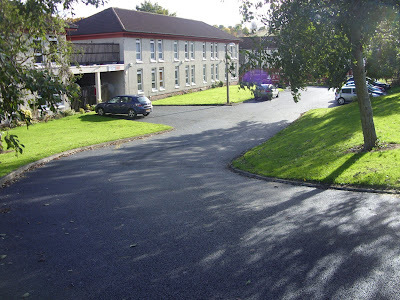 I am really pleased that after many complaints from local residents and work by myself and other councillors, especially Councillor Donald Hay that the car park at Ancrum Place has been refurbished. 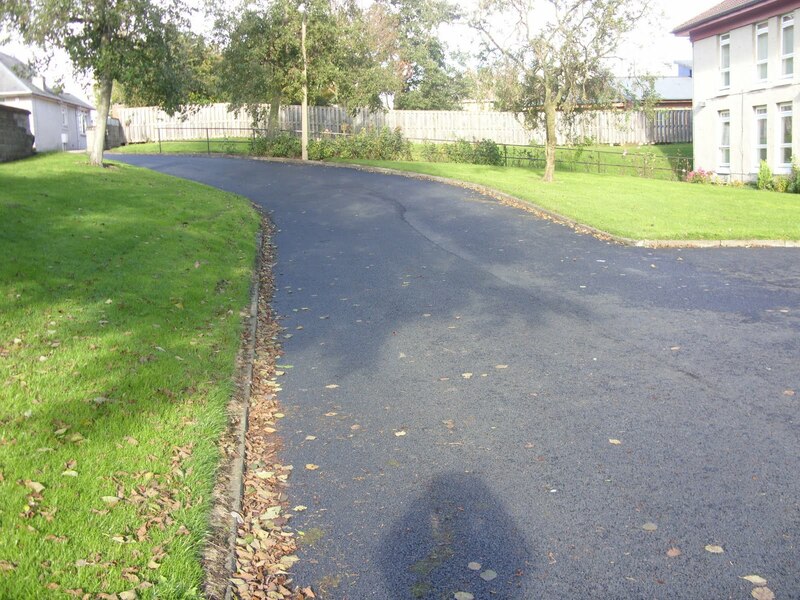 The pictures her show the road and car park after the work was done. You can see the state of the road previously here in my report on a site visit. I am pleased with the scale of the work and I know that many constituents now feel safer as they think that they will be able to get out and about even in bad weather. Well done to the City Council's Housing Department for listening to the concerns of local residents and their councillors.